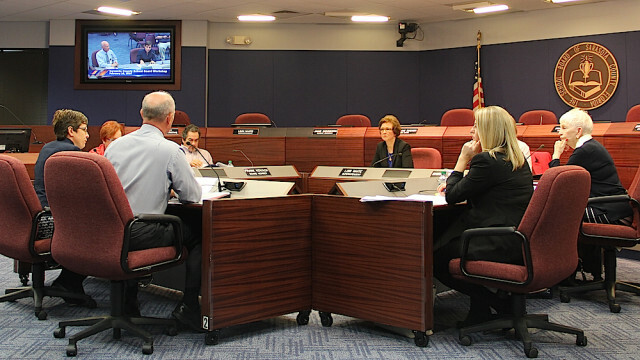 Although the Suncoast Technical College (STC) project in North Port is over budget by an estimated $5 million to $6 million, the Sarasota County School Board members this week affirmed their willingness to provide the extra money so the current design of the project can be utilized. The facility is scheduled to open in August 2017. “I think we’ve made a promise to North Port,” board member Frank Kovach said during the School Board’s Feb. 16 workshop in its chambers at The Landings in Sarasota. The district needs to deliver on that, he added. 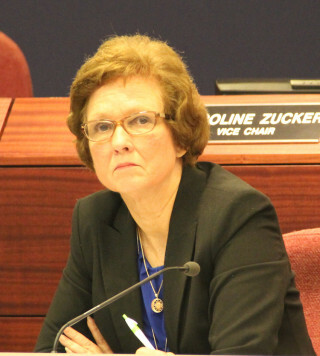 “So am I,” board member Caroline Zucker told her colleagues. With consensus from all the board members, Deputy Superintendent Scott Lempe said he would work toward putting a budget amendment on an upcoming meeting agenda, so the board formally could approve the extra expense. 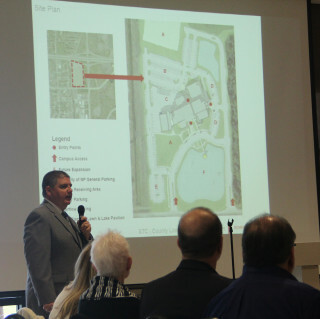 The original budget for Phase I of the North Port STC campus was $12.8 million, Lempe pointed out. However, three factors have contributed to the rise in expense. The first, he said, is related to the site itself. 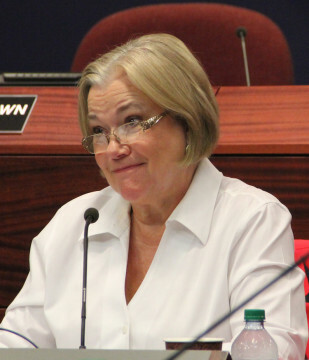 When the School Board bought the property at the intersection of Interstate-75 and Toledo Blade Boulevard in North Port for $1.2 million — about $50,000 an acre — district staff agreed to make the out parcels accessible for other development, Lempe explained. A road will be built on the west side of the property, he noted, and utility connections will be “stubbed out” so those outlying segments will have access to necessary services. 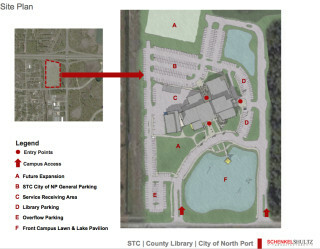 Then, before it would approve the platting of the property, Lempe continued, the City of North Port required that the school district plan for a deceleration lane for traffic coming off the interstate onto Toledo Blade Boulevard, as well as for a left-turn lane from Cranberry Boulevard onto the STC campus. All that work — plus the purchase price itself — accounts for about $3 million of the budget, Lempe said. Finally, Lempe noted, since the beginning of 2013, construction costs have risen about 13.5 percent, according to the Turner Building Cost Index. After reviewing all those factors, Lempe offered the board three options: complete a design within the original $12.8-million budget; add the necessary funding to get the construction completed on time with the design in hand; or tell the design team — including representatives from Schenkel Shultz Architecture and Willis Smith Construction, both of Sarasota — to undertake a new draft. “I’ve threatened them with [starting over],” Lempe added of the team members. The extra money to cover the current design is available in the School Board’s unrestricted reserve account for capital projects, Lempe pointed out, so no other project planned for the 2016-17 school year would have to be eliminated. That account has about $12 million in it, he noted. “We were initially trying to accrue dollars so there would be less need to borrow on the first elementary school [planned to accommodate future enrollment growth],” Superintendent Lori White explained. With that project having been pushed out because of slower growth this year than expected — and moderate growth predicted again next year — White said the board has more time to accumulate extra funds for that construction. After affirming his support for the North Port STC Phase I project as currently designed, Kovach then asked whether Sarasota County’s share of the expense will rise, too. The county is collaborating with the School Board on a community library that will be part of the new technical college. The county is paying a proportional share of the STC cost, Lempe replied. The library will have approximately 20,000 to 25,000 square feet, he added, so the county’s expense will be pegged to the portion of the total STC square footage that that figure represents. 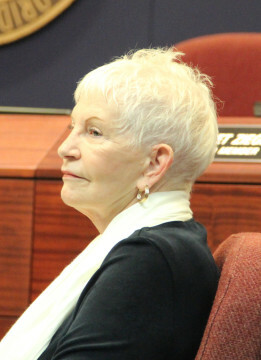 In a review of other capital projects already scheduled for a start in the 2016-17 school year, Lempe and Kathie Ebaugh, the district’s planning director, noted that while two elementary school classroom wings are on the list, at a cost of $7 million each, they recommended that construction be deferred. “We have specifically not included a location [for either of them] just so principals didn’t get all excited about a classroom wing,” Lempe pointed out. The three elementary schools with the greatest capacity challenges are Garden, on Center Road in Venice; Ashton in Sarasota; and Laurel Nokomis School in Nokomis, he said. If a wing is added to a school to accommodate an increase in student population, and then even more youngsters enroll, he explained, more portables will be needed to supplement that classroom wing’s capacity. Yet, at some point, the district will have to build a new elementary school, he pointed out. If the district uses classroom wings to deal with enrollment growth, it will be harder to demonstrate to state education officials that the district needs the new school. In response to a question from board member Zucker, Ebaugh said an elementary school planned to handle elevated enrollment for those three existing schools probably would be constructed closer to Laurel Nokomis, as that school is almost centrally located between the other two. She concurred with Lempe regarding the classroom wings. “It is my feeling that we need not to build [them in the next two years].” Portables do serve a purpose, she continued, especially in times of slow growth. Using them allows staff to wait until signs are clear that new construction is necessary, she added. In response to another question from Zucker, Lempe told the board that after a new classroom wing opens at Fruitville Elementary before the start of the next school year, staff will be able to relocate 17 portables from the Fruitville Elementary School campus to a different location where they are needed. If it proves necessary, the district can purchase more portables; nonetheless, Lempe pointed out, “the vast majority” of the need for portables can be handled without “a huge financial impact” because of the funds for moving and buying them that already are in the budget. As for growth: Board Chair Shirley Brown noted that anyone who has recently driven Proctor Road in Sarasota has seen new development under way on that route as well as on Honore Avenue and McIntosh Road. Brown added that having traveled Gocio Road the previous day, she saw “a lot of open property there,” too, which is in agricultural use, especially in the vicinity of 47th Street and Gocio Road. “I can [foresee] some subdivisions going in out there,” she said, particularly given the high demand for property west of I-75.